Based in Weymouth Dorset we cover the entire south west for Fire Risk assessments concentrating on Dorset, Devon, Cornwall, Somerset and Hampshire. —(1) The responsible person must make a suitable and sufficient assessment of the risks to which relevant persons are exposed for the purpose of identifying the general fire precautions he needs to take to comply with the requirements and prohibitions imposed on him by or under this Order. 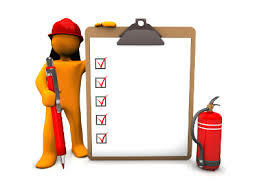 (2) Where a dangerous substance is or is liable to be present in or on the premises, the risk assessment must include consideration of the matters set out in Part 1 of Schedule 1.
and where changes to an assessment are required as a result of any such review, the responsible person must make them. (4) The responsible person must not employ a young person unless he has, in relation to risks to young persons, made or reviewed an assessment in accordance with paragraphs (1) and (5). (5) In making or reviewing the assessment, the responsible person who employs or is to employ a young person must take particular account of the matters set out in Part 2 of Schedule 1. (c)an alterations notice requiring this is in force in relation to the premises. (b)any group of persons identified by the assessment as being especially at risk.